Slides sent by authors are now available here. The Data Analysis contest winner (Rasmus Bååth) has also published his analysis. The list of attendants is already up. See also below the winners of the contests. We are uploading pictures to Picasa Albums, see below a slideshow. You can contribute with your own pictures by sending them attached in an email to useR.2013.albacete.emilio@picasaweb.com. Please use "Contributed pictures" as subject. We hope you enjoyed the useR! 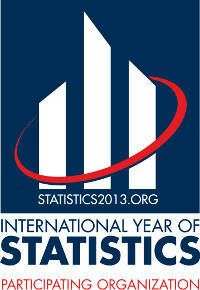 2013 conference and your stay in Albacete. We wish to thank the conference sponsors, invited speakers, program committee, session chairs, presenters, and all the attendants to the conference. It was a pleasure for us to organise it and contribute to the R world. Find below the group picture taken on Friday, click on it to get it at a higher resolution (thanks to Benno Pütz). Best abstract: Driving R to the air quality industry. NanoEnvi Analyst: A tool for designing large‐scale air quality plans for improvement in ambient air quality by ALEJANDRO ALIJA. 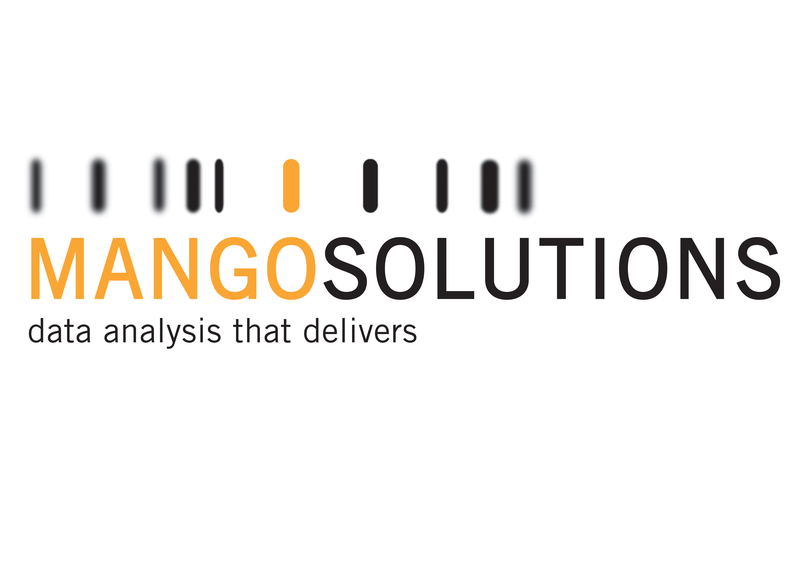 Climate Analysis Tools ‐ An operational environment for climate products by MARK LINIGER. An R script to model monthly climatic variables with GLM to be used in hydrological modelling by FRANCISCO ALONSO‐SARRÍA. Best Student Poster: A cloud infrastructure for R reports by GERGELY DARÓCZI. Best Technical Poster: TestR: R language test driven specification by PETR MAJ.
Best Application Poster: edeR: Email Data Extraction using R by JAYNAL ABEDIN. Winners were announced during the conference in an specific plenary session on Thursday afternoon. Timetable, abstracts booklet, and conference booklet are available. Note that a hardcopy of the conference booklet will be provided at the registration desk. Download the short presentation or the flier presented at useR-2012 for an overview of the conference. For any communication about the conference, please contact the local organising committee at the official e-mail account: useR-2013@R-Project.org. useR! 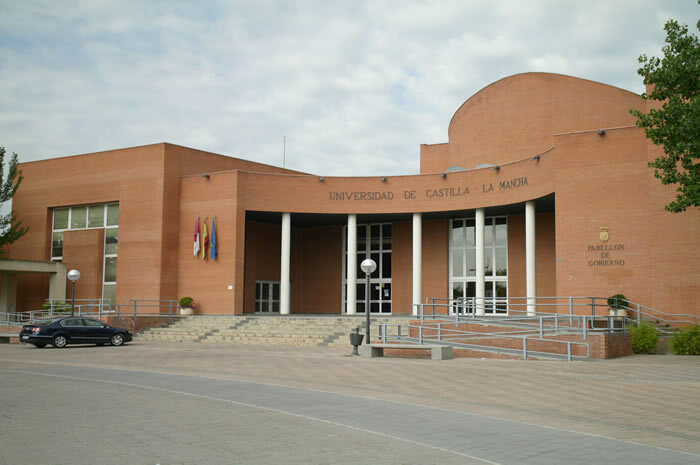 2013, the R user conference, will take place at the University of Castilla-La Mancha, Spain from Wednesday 10 July 2013 to Friday 12 July 2013. Talks will take place in the Paraninfo (Aula Magna) and the Faculty of Economics. As the conference will take place during the summer time, all our lecture theatres will have air conditioning. Pre-conference tutorials will take place on Tuesday 9 July 2013. The conference is organized by the Statistics Group, Department of Mathematics and the Statistics and Mathematics Group, Economics & Business Faculty, both from the University of Castilla-La Mancha, and supported by the R Foundation for Statistical Computing. A major goal of the useR! conference is to bring users from various fields together and provide a platform for discussion and exchange of ideas: both in the formal framework of presentations as well as in the informal times surrounding the conference sessions. Prior to the conference, on Tuesday 9 July 2013, there are tutorials offered at the conference site. Each tutorial has a length of 3 hours and takes place either in the morning or afternoon. We are pleased to announce the Data Analysis Contest for useR! 2013 attendants. Check the rules, download the data (R package: zip, tar.gz) if you want to play around. Winners will be awarded during the conference. Maria Jesús Bayarri, Jose Manuel Benítez-Sánchez, Duncan Murdoch, Havard Rue, Steve Scott, and Hadley Wickham. See the invited talks program. The list of tutorials is now available. Esteban Alfaro-Cortés, José Luis Alfaro-Navarro, María Teresa Alonso-Martínez, Gonzalo García-Donato, Matías Gámez-Martínez, Noelia García-Rubio, Virgilio Gómez-Rubio (Chair), María José Haro-Delicado, Emilio L. Cano, and Francisco Parreño-Torres. The call for tutorials is now closed. Visit the tutorials' page and check the programme. Please check the Information for Speakers, Session Chairs and Poster Presenters. The deadline for all talks and posters has passed and abstracts will no longer be accepted for inclusion in the program. All abstracts submitted before the regular abstract deadline have now been considered by the Programme Committee, and every author of such an abstract should have now received an email with the decision on acceptance. All participants were invited to present a Lightning Talk, for which no abstract is required. These talks provide a 5-minute platform to speak on any R-related topic and should particularly appeal to R newbies. The call for abstracts for regular talks and posters closed on 31st of March. These sessions give a broad overview of the many different applications of R and should appeal to a wide audience. These sessions focus on topics of special interest and may be more technical. The assignment of talks to sessions will be made by the program committee. In both cases presentations will be allowed 17 minutes, followed by 3 minutes discussion. In addition to the regular contributed talks, all participants are invited to present a Lightning Talk, for which no abstract is required. These talks provide a 5-minute platform to speak on any R-related topic and should particularly appeal to R newbies. Participants wishing to give such a talk must provide an informative title. For regular talks/posters, please use the abstract templates available in .odt, .doc or .tex formats, with an example.bib provided for the latter. Thanks to our sponsors REvolution analytics, Google, R-Studio, Oracle, and TIBCO, we have a number of bursaries available for Ph.D. students. These will cover registration fees and, in some cases, travel expenses. The bursary application period expired on April 15. 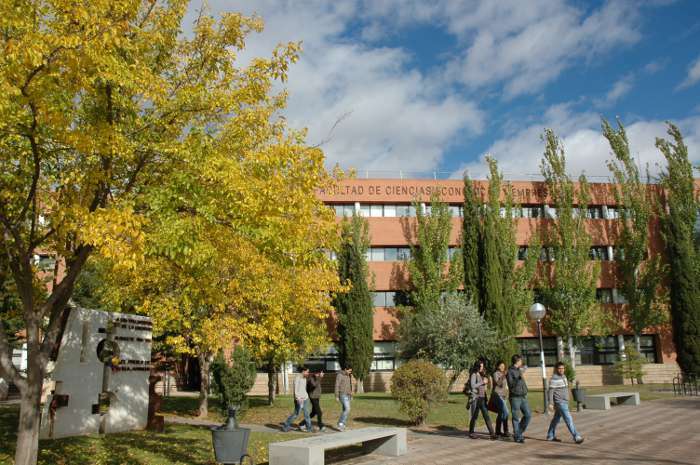 The University of Castilla-La Mancha is the only university in the region of Castilla-La Mancha and it is divided into several campuses. 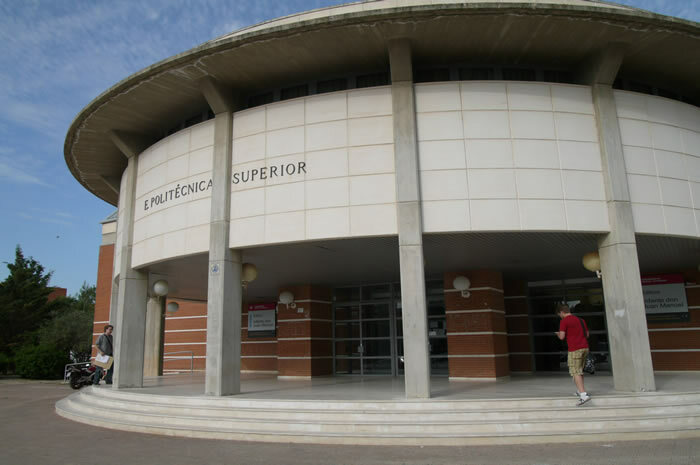 The conference will take place at the campus in Albacete. Information and useful links on the numerous and famous attractions in the area surrounding the University of Castilla-La Mancha in Albacete can be found at the Castilla-La Mancha Tourism website. Although Albacete has a small airport, international travellers will find it easier to travel to the nearby cities of Madrid, Alicante or Valencia. From these cities, Albacete can be reached by bus or train. Information about train times can be found in Renfe website, whilst information about bus connections is available in the ALSA website. You can reach the University Campus by bus (line C), by taxi, or on foot, if you do not care walking for about half an hour. Note that registered users can benefit from a 30% off on train tickets (download the Voucher). Visit the Registration page for more info. The international airport of Madrid Barajas received a number of flights from all over the world. Its webpage provides a lot of information about routes, airlines and so on. It has four terminals, be sure which one is yours. Once you arrived to Madrid, you can take a train to the main railway stations (Atocha or Chamartín), or to the "South Coach station" Méndez Álvaro (C-1 line, see here a map). Note that there is a "transit free bus" between terminals. Check the alsa timetable, some coaches to Albacete leave directly from the airport! The duration of the trip to Albacete ranges from 90 min. (high speed train) to 3 h. (coach). Of course you can always take a taxi from the airport to any of the stations, or hire a car and drive to Albacete (2:30h. by highway) if you plan to visit other places during your stay in Spain. The international airport of Valencia is another option near Albacete. From Valencia Airport you can take a taxi to the station, or the metro. Metro station "Xátiva" is the stop for the railway station, and metro station "Túria" is the one for the coach station. There are a number of flights to the international airport of Alicante from several important cities. As a tourists' destination, there are charter flights during the summer, check your options when booking. Several bus lines connect the airport with the center of Alicante. Alicante is only 171 km. from Albacete, and there are several trains and buses from Alicante to Albacete (visit Renfe or alsa). You can also hire a car and reach Albacete in about one and a half hour by highway. If you need directions from any other place, please ask the organizing committee. The conference secretariat has pre-booked a number of rooms at several hotels in Albacete. Check the hotels' location on the map above. More info here. Tweets sobre "#rstats OR #useR2013"